Reproductive Freedom Lies Just Outside The U.S. Border In 'Red Clocks' Leni Zumas' new novel follows five women in an Oregon town, living in an alternate reality where abortion and IVF are illegal — a world that Zumas says "could happen next week." 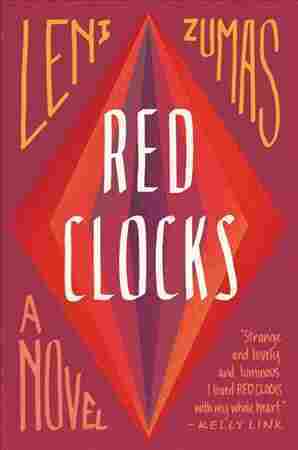 Leni Zumas' new novel, Red Clocks, imagines a time in which something called the Personhood Amendment has made abortion and in vitro fertilization a crime in the United States; Canada returns women who slip across the border to seek those services. The novel is set in an Oregon town and it invites inevitable comparison to Margaret Atwood's The Handmaid's Tale. Is it also a parable for our time? Zumas says the story started out with "some personal anxiety and anguish of my own," but grew into something larger. I started writing it around 2010 ... I was dealing with infertility and really wanted to get pregnant and wasn't able to. And I had a lot of questions about why I wanted to become a mother, what it meant to be a mother, what it meant to be fertile or infertile. And when I was starting to pursue in vitro fertilization and doing some research about it, I started to come upon something called the personhood amendment and various fetal personhood movements in the United States — people who wanted to make it a crime to do anything to a single-celled zygote. And so that was something that really fueled my curiosity and, frankly, my anger. And so it started out personal and it really expanded to be about the political future of our country. On why Mattie, the pregnant teenage character, refers to the entity inside of her as a "clump"
I think that she does want to distance herself but she's — she doesn't know what she's doing, you know, she hasn't quite turned 16 and she herself is adopted, which makes her decision to seek an abortion more complicated. I think that's where the complexity lies in this conversation. I remember when I got the call that I was pregnant after many, many tries. And certainly I wasn't using the word clump to myself. But that doesn't mean that a 15-and-a-half-year-old doesn't get to use that word for herself. I've admired Margaret Atwood for a really long time, and I love her work. And I think our books are very different, in the sense that, in The Handmaid's Tale, she's created such a spectacular and drastic world that does draw on elements of historical fact, but which is really so separate from our own world, whereas I think that the world of Red Clocks could frankly happen next week. Peter Breslow produced and edited this interview for broadcast. Sydnee Monday and Petra Mayer adapted it for the Web.